"This I say then, walk in the Spirit, and ye shall not fulfill the lust of the flesh." -Galatians 5:16 Are you a person who allows the love of God to radiate from you as a witness to the world, or do you let the disappointments and stresses of life show through your words and actions? God desires us to be free from ourselves so the perfect image of the Christ we serve can be seen in us. Using the wisdom and knowledge of the Word, we can resist the demands of our carnal natures. 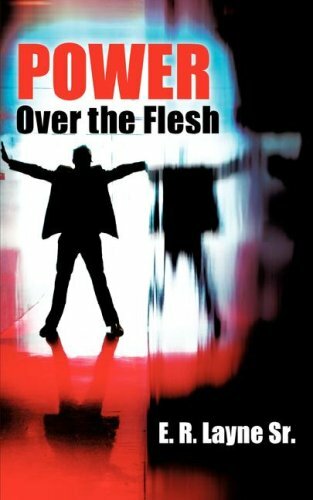 This book is an instructional guide to getting you started on your way to walking in the fullness of the Spirit of God and achieving power over the flesh. In Power Over the Flesh, Pastor Layne shares the principles he has learned through his journey to crucify his carnal nature and walk fully in the love of God. Pastor Edgar R. Layne is senior pastor and founder of Shield of Faith Church in Marion, Ohio. He currently resides there with his wife Sue and their six grown children. With nearly 27 years of experience in ministering the Gospel, he continues to teach and practice the wisdom that God has given him on becoming who God wants us to be.